Have you ever considered putting them all together in a book? 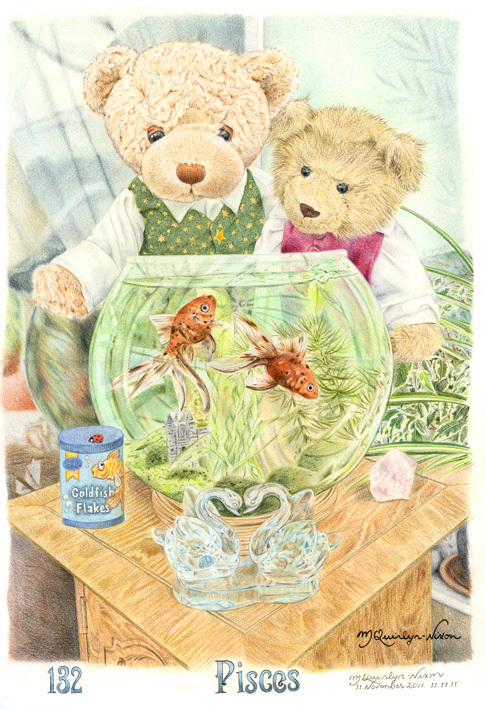 Each illustration could have a little story like the one about your pet goldfish. I am sure that lots of people would be interested. I certainly would, because unfortunately I missed your early calendars and yes, I was a bit disappointed when you stopped making the calendars.